The personal mobile devices we see in the hands of our students are powerful tools for creativity. Mistakes can be erased, experiments are easily undertaken, exploration is exciting and confidence reigns supreme. 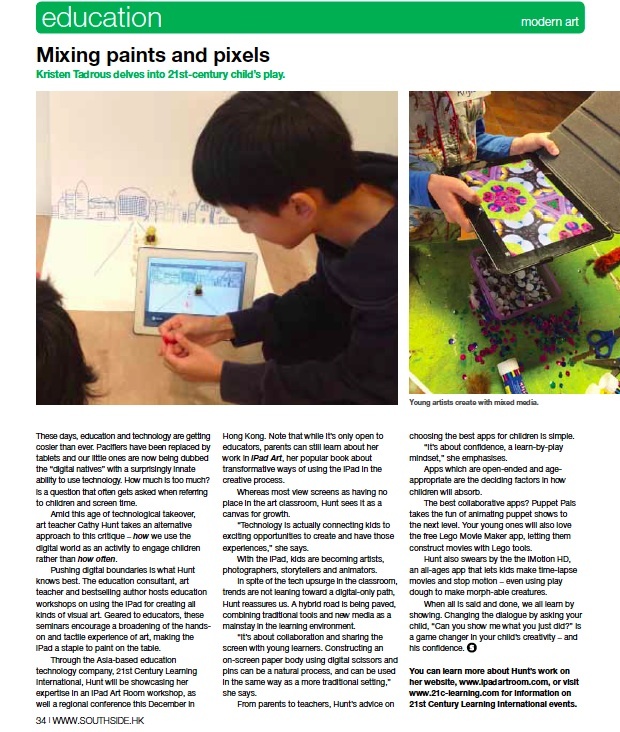 It’s not about getting rid of the great things we’ve always done in the art room – the iPad and other technology can be valuable for learning. Our students are carrying a camera, paint set, movie studio and more in their back pocket! 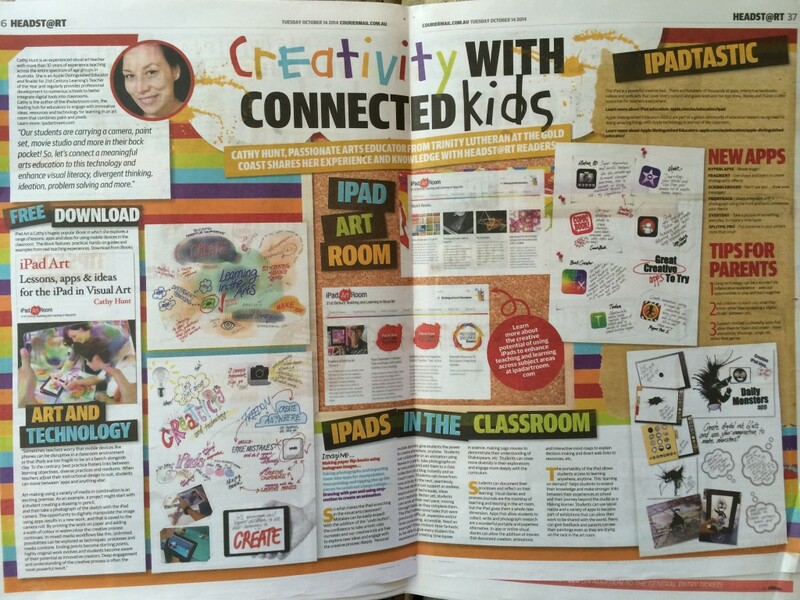 So, let’s connect a meaningful arts education to this technology and enhance visual literacy, divergent thinking, ideation, problem solving and more. It’s fantastic to have the Courier Mail supporting this vision. See a PDF of the article in larger sections here. 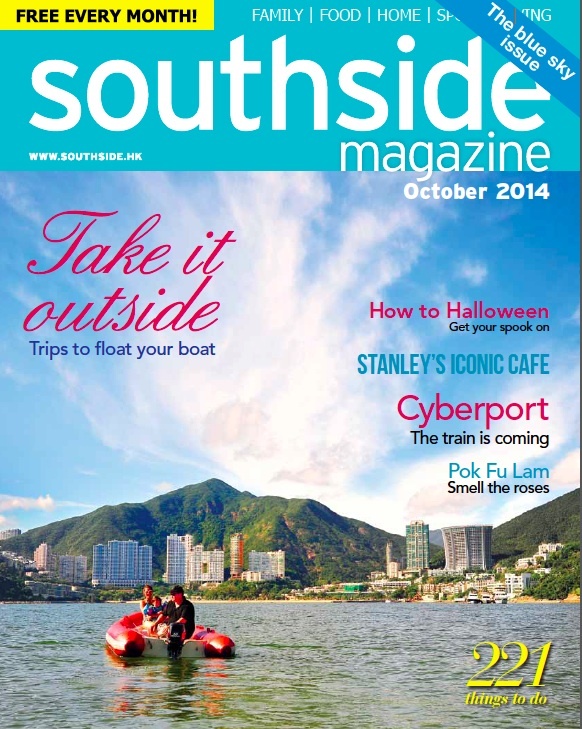 The Southside Magazine has also published an article on the some similar ideas this month.